OK. I give up. If I hear about one more person drinking Pinot Grigio my head will fall off. That’s because I keep shaking it wondering WHY when there are SO MANY OTHER white wines out there, WHY you would choose this one!!! The latest offender? Kanye West. He was apparently at La Bottega the other night, modelizing his way through the place, and “downed plently of Pinot Grigio.” The last time I was there I had a bottle of Falanghina, which was also barfous, but we also had a bottle of Prosecco, which was not barfous at all. Anyway, I just took a look at Bottega’s wine list and they have quite a few Pinot Grigios so I don’t know which one Kanye was downing. 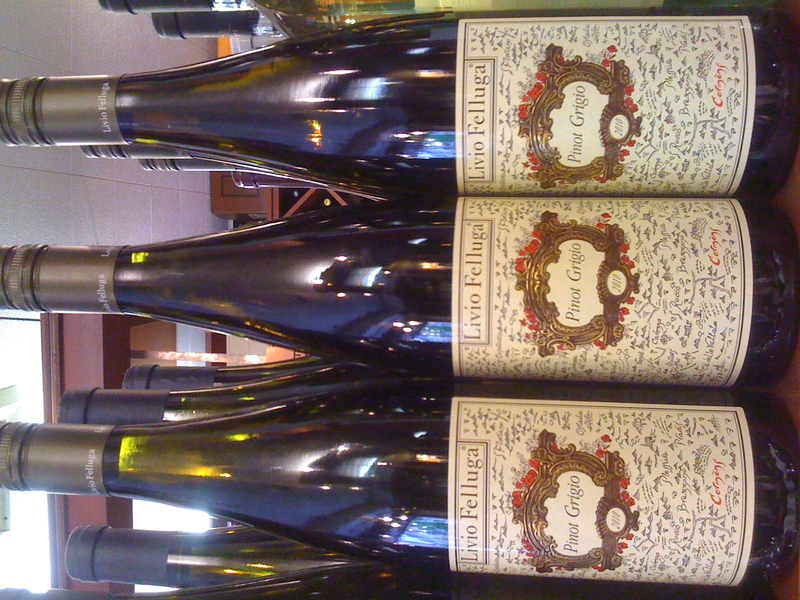 I will say I like Livio Felluga (a producer, though I prefer his Sauvignon Blanc) and I do like wines from Alto Adige (an awesome wine region in northern Italy). But again, Ye didn’t tell me what he ordered. And since I don’t work at US Weekly, I’m probably not gonna call Bottega to ask if the waitress remembers. To top all of this off, it’s Pinot Grigio month on Snooth. They’re tasting at least one PG a day, posting content about it, the wines it produces and the regions that rock it. I love Snooth and they are insanely knowledgeable, so even though this is the Summer of Riesling I’m going to give PG another chance. And not the Oregon Pinot Gris, which you know I love. Yes, you heard it – I’m going to drink some Pinot Grigios and will be reporting back, possibly with a full spittoon, possibly with a new humble love for a dissed grape. Got any good suggestions, Comment away. After all, I don’t want to go against Kanye. You know what can happen. 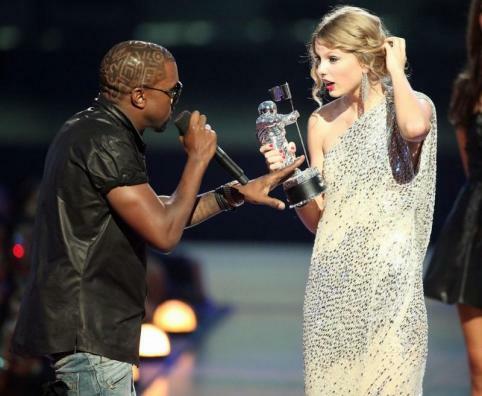 Tags: pinot grigio kanye west la bottega livio felluga sauvignon blanc alto adige taylor swift MTV VMA's wine. Bookmark the permalink. Previous post ← you deserve a grape today, debt ceiling voters!